The Poptart Manifesto by Rick Gualtieri: Scary Dead Things is here! 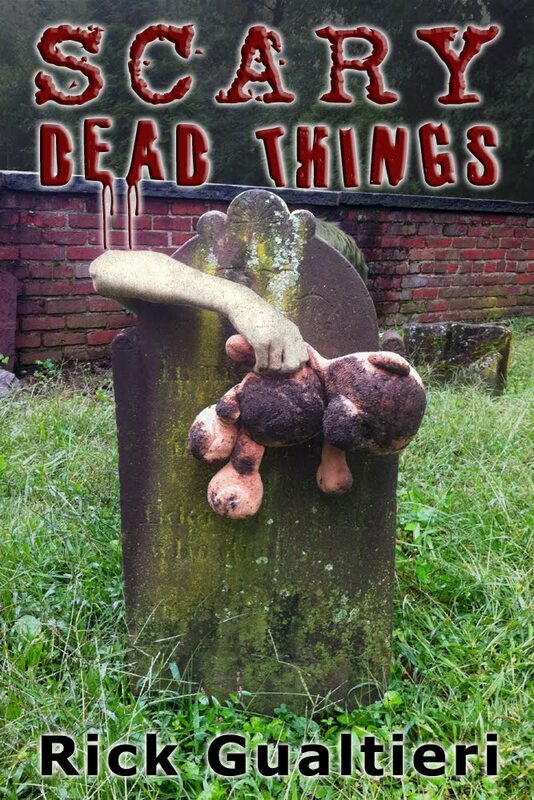 Scary Dead Things is here! My new book, SCARY DEAD THINGS, part 2 of The Tome of Bill is out! And stay tuned! As part of the Rule of Three blog challenge I will be posting a new original tale from the Tome of Bill here within the next few days. See you soon! There are reasons we fear the night. He STILL isn’t one of them. Bill Ryder: programmer, gamer, and legendary vampire is back! Six months have passed since a vampire hottie named Sally dragged him kicking and screaming (but mostly screaming) into the supernatural underworld. Since then he’s found himself hounded by enemies and frustrated by his allies. All that and he still can’t work up the nerve to talk to his dream girl. Little does he know his troubles are just starting. A chance meeting halfway across the world plunges Bill into more insanity than he can shake a stick at. Now he finds himself a marked man in more ways than one. One of the most powerful immortals in the world wants him dead and an ancient vampire princess wants him for entirely different purposes. However, that might just be the least of his worries as new and powerful forces have begun to emerge from the shadows around him. Are they friend or foe? Considering Bill’s luck, you can bet on the latter. Bill’s only hope is to marshal his friends, master his powers, and muster enough attitude to stare down the very worst monsters the world can throw at him. Can Bill survive and prove once and for all that he’s the scariest dead thing of them all? Sounds like a great read, Rick. If you want to come do a guest post on my blog some time, stop by and give me a shout.